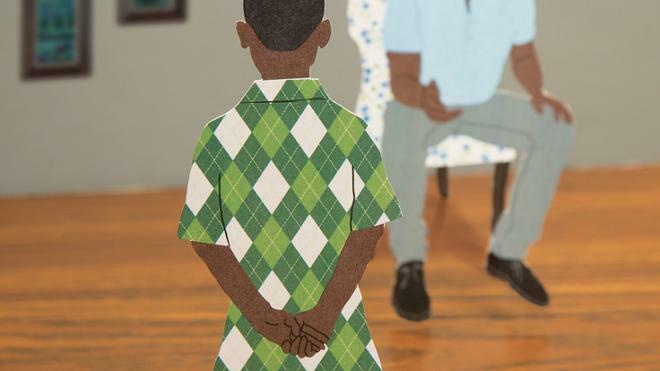 Lessons from his father taught President Ronald A. Crutcher the importance of listening as a strategy for engaging meaningfully with one another. I remember the details of that day with vivid clarity. I was the director of the Butler School of Music at the University of Texas. The CEO was on the board of an important foundation whose financial support we were seeking. His salutation stopped me in my tracks. This wasn’t the way I expected to begin a conversation about financial aid or any other topic. I didn’t respond immediately. Instead, I thought of the lessons of my father, a man who was prone to passionate and sometimes regrettable outbursts as a young man but who, as an adult and a parent, had taught my brothers and me to pause, contemplate, and listen in situations like this. And so I paused. I listened, and I listened some more as my host wondered aloud why there were so few black violinists, how he had noticed this imbalance as a patron of the venerable Aspen Music Festival, and how the classical music community could better recruit artists of color. In reply, I spoke passionately about our programs at the Butler School and offered my enthusiasm for a violinist named Eliesha Nelson. Currently a member of the viola section of the Cleveland Orchestra, Eliesha was a former advisee of mine at the Cleveland Institute of Music who had come to UT-Austin to work on her master’s degree. We must commit ourselves to listening, even when what we hear knocks us off balance. These conversations may not always be easy, but they will be educational. This enthusiastic exchange of ideas quickly overshadowed my initial shock at how our conversation had begun. I shudder to think how differently the meeting may have gone had I responded immediately. 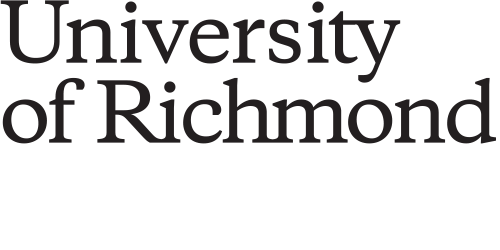 Meaningful understanding — honed through unexpected or uncomfortable experiences, nurtured through the type of liberal education we offer at Richmond — happens every time we open ourselves to someone who is different from us, whether because of ethnic background, sexual orientation, wealth, religious belief, political affiliation, or ideology. For it to happen, we must commit ourselves to listening, even when what we hear knocks us off balance. These conversations may not always be easy, but they will be educational; they challenge us and students alike to broaden our minds and perspectives. At Richmond, we pursue opportunities to create interactions like these every day. Sixty percent of our students participate in study-abroad programs, bringing fresh perspectives back to campus when they return. Our academic programs expose students to new ideas and ways of thinking, and our small classes enable faculty members to engage students directly in the complexity of problems and the benefit that new perspectives bring to understanding. Through living-learning communities and interdisciplinary academic programs, such as Integrated Qualitative Science; Philosophy, Politics, Economics, and Law; and Healthcare Studies, students learn to connect disparate disciplines — and their competing views of the world — to advance knowledge. The problems we confront today are knotty and complex, and addressing them effectively will require more perspectives, not fewer. You likely remember a time in your years on campus when you rethought your position about something in a class, when a reading or lecture opened up to you an entirely new way of understanding a problem, or when you stayed up late debating an issue back and forth with classmates — solving the world’s problems emboldened by youth and caffeine. One of the most important things these experiences teach is this: Engaged citizenship is complicated. Such experiences also teach us that differences in opinion need not lead to acrimony, name-calling, or unrest. What often recalibrates our perspectives and leads to progress are the knowledge, empathy, and understanding that emerge from candid and substantive conversations as we take the time to listen to those who are unlike us. That is the promise of liberal education at the University of Richmond, a promise that prepares educated citizens who can engage meaningfully with one another, meet challenges with resilience and compassion, and discern new possibilities for the world in which we live. Careful listening and thoughtful consideration are at the heart of our relationship with the Richmond community. The Bonner Center for Civic Engagement, the University’s hub for connecting UR and local communities in collaborative and sustained partnerships, begins by listening to community-identified needs as it shapes learning opportunities for students. More information is available at engage.richmond.edu.